How to change my forum avatar? I didn't know where to post this. I have a problem changing my forum avatar, shown to the left of this comment. I have my avatar for my profile page as the avatar I want for the forum as well. Click on your name at the top of the page to the left of your mailbox then click on/ mouse over your current avatar will give you option to change photo. I have 377 posts but it says on my profile page that I have 43 points? Hmmmm. Just hit awesome on your comments theres a few more points. How many posts and points do you have to have to change your profile picture? Is that all you need to do, is have a certain amounts of posts and points? 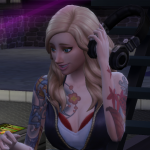 You are welcome Morgan and very nice avatar BTW.Have a good day simming. 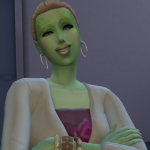 It is great that you are now a full member Happy simming! Thank you! Happy simming to you, as well. Welcome to the forums! You have the required points, but just need a few more posts and then you be able to become a full member. Hello, does anyone know how I can have my avatar reverted to the default picture? Because I had it changed before the new member system was implemented and now I have no way of changing it so I would like it to at least be something default. Can anyone help? Who should I be contacting? Thanks! You are unable to change it back to the default picture either, until you become a full member. The Avi can't be changed at all until you have the required 30 posts and 50 points needed to become a full member. You nearly have enough points, and you are half way with your post count. Try posting in the different sections of the forums and will soon get the required posts/points. Congratulations on becoming a full member! @mortimorgoth Happy simming! I have 54 points and 34 posts and the forum still doesn't recognize me as a full member, what am I missing? Try logging out of the site then logging back in again , and see if that helps to show you as a member. Congratulations on becoming a full member! @makorthawat Happy simming!